Cyanoacrylate Debonder: Turbo Debonder has been designed as a fast acting, safe and very effective debonder for cyanoacrylate adhesives. Safely dissolves cured cyanoacrylate adhesives. Turbo Debonder can be used on skin. 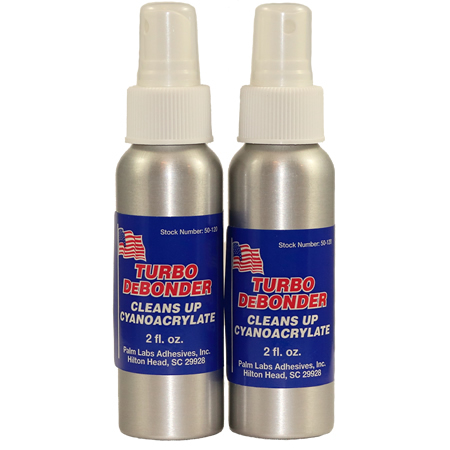 Turbo Debonder can be sprayed on, or used with brush application.